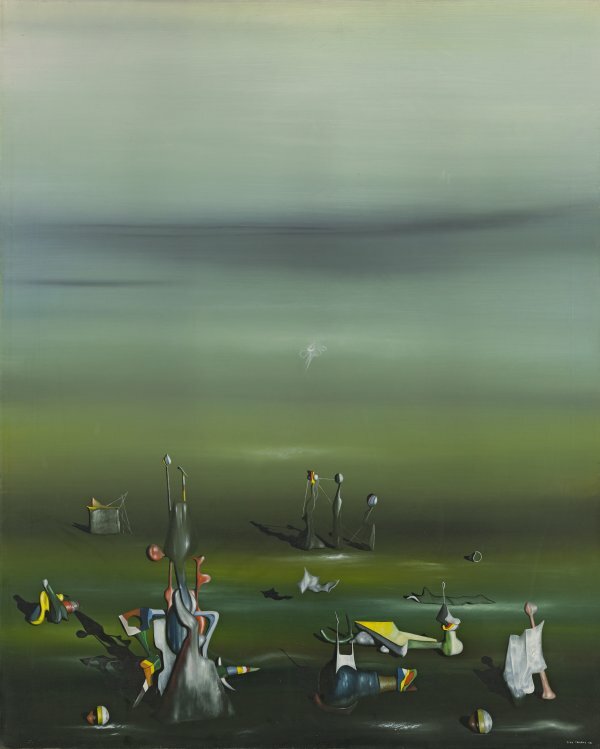 Yves Tanguy was one of the European artists who emigrated to the United States in 1939 when the European war erupted. 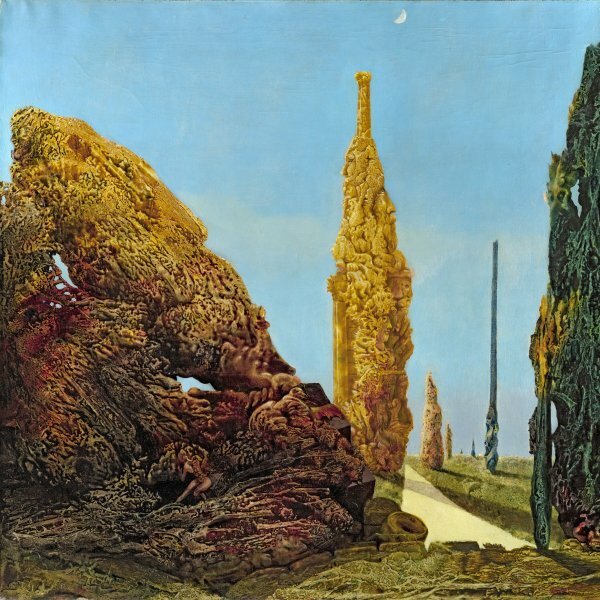 It was there, in 1942, that he painted the canvas entitled Time and Again, which entered the Thyssen-Bornemisza collection in 1975. 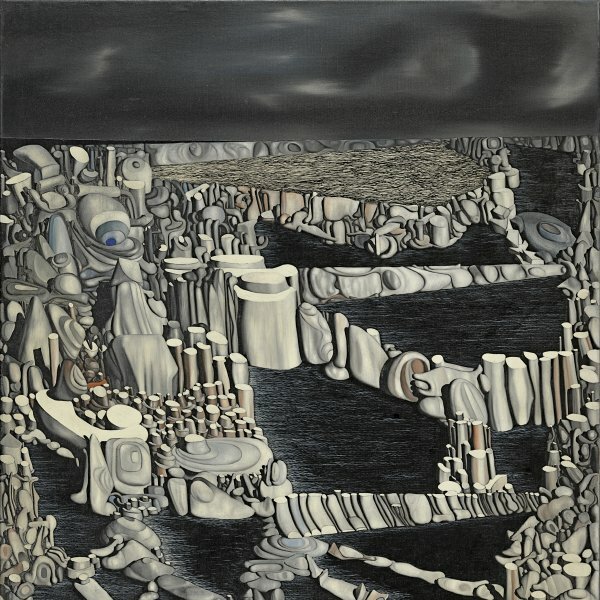 As in nearly all his fanciful landscapes, which invariably follow the same pattern, it features several unidentifiable isolated forms in a deserted setting, with an endless horizon. 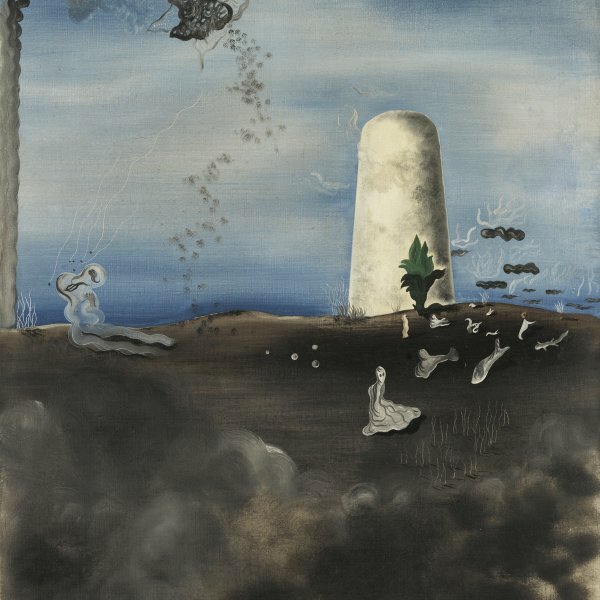 In one of his writings of 1941, André Breton made a number of observations on the importance of the horizon in Yves Tanguy’s painting. Breton regarded his distant perspective as the representation of the space that lies beyond the horizon, the space that is reflected in a mirror, in an “unsilvered mirror” — which Breton and Philippe Soupault mention in Les Champs magnétiques in 1920 — that does not provide a faithful reflection, for, freed from its barrier, it opens up space to a limitless world. The painting was reproduced in André Breton’s monograph on the painter published by Pierre Matisse in 1946 and designed by Marcel Duchamp, where it is recorded as belonging to the collection of Wright S. Ludington, the founder of the Santa Barbara Museum of Art in California.